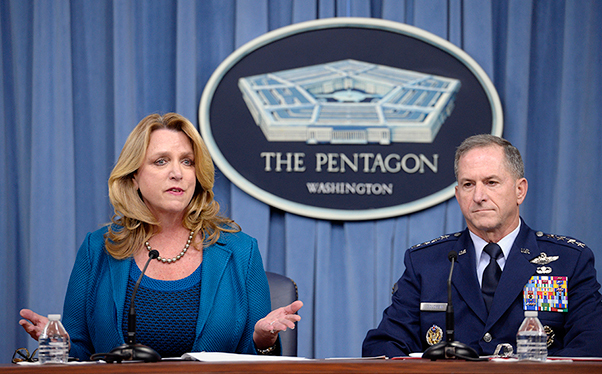 Air Force Secretary Deborah Lee James and Air Force Chief of Staff Gen. David L. Goldfein speak during their State of the Air Force press conference in the Pentagon, Aug. 10, 2016. 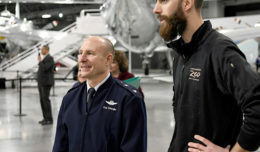 In her first update with Goldfein, the 21st CSAF, James praised his work so far, and said she looks forward to working with him in leading Airmen and the Air Force. The senior leaders then provided an update on current Air Force operations and budget challenges. James pointed out Airmen are busier than ever with the oldest fleet in its history before talking about the potential impacts if Congress does not pass a budget. 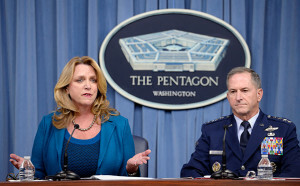 Stating the Air Force is still dealing with the difficult choices it was forced to make during sequestration, James said if Congress doesn’t act, and if the Air Force is faced with a long continuing resolution, it could see a delay of over 60 acquisition programs. James then listed the production of joint direct attack munitions, better known as JDAMS, the production of the KC-46 Pegasus air refueling platform and B-21 bomber funding as some of her top concerns. Presenting an update to the Air Force’s rejuvenation of the remotely piloted aircraft program in an RPA get-well plan, James noted some of the program’s milestones. She then announced by Oct. 1, an approved $35,000 pilot retention bonus will go into effect for all eligible RPA pilots. Also, the Air Force is working with Congress to update the retention bonus for all pilots as well as ensure all Airmen retain their basic allowance for housing. While the current hiring rate of commercial airlines could negatively impact the Air Force’s pilot retention rate, the Air Force’s focus on quality of life and service have the potential to rebalance the scales. The past has proven if financial burdens are removed, the force will respond, Goldfein said. However, James said money is important, but it is not everything. The conversation then turned to current operations. According to Goldfein, the Air Force is fully engaged in providing airpower solutions to counter aggressive activity from China, Russia, Iran, North Korea and violent extremists, and working with its sister services to carry out missions as directed by combatant and joint task force commanders. Air superiority is not an American birthright, it has to be fought for and maintained, he said. 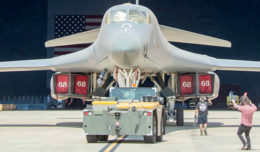 Retaining the Air Force’s experienced pilots is critical to its ability to continue supporting the joint force through air and space exploitation. “Despite the uncertainty ahead however, I am optimistic about the future of the Air Force for one reason — our Airmen — who continue to deliver 24/7/365,” Goldfein said.